I have discovered yarn mill ends. I often walked by them at A.C. Moore and passed them apprehensively. It wasn’t until I saw that a fellow crafter had bought a bag of really cool fancy red yarn for really cheap did I become interested in it. I bought some on Sunday. 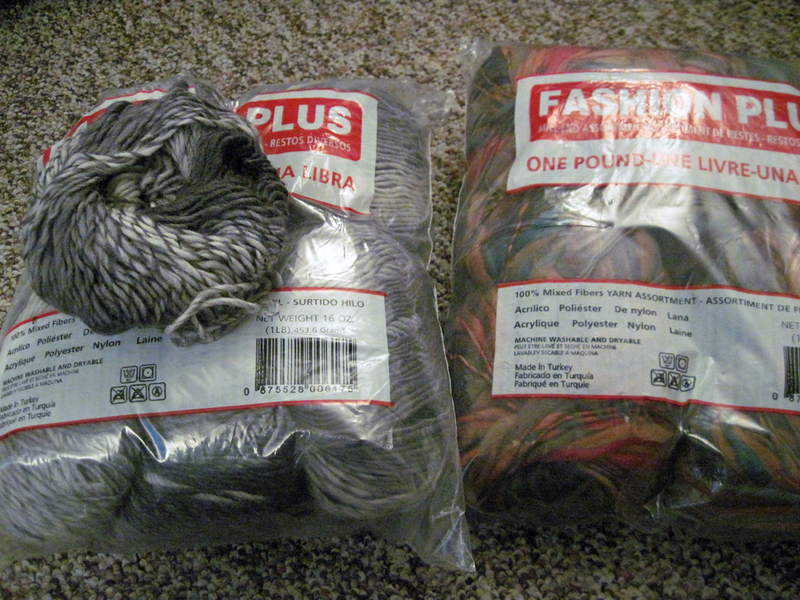 I got two one pound bags of yarn. They were each $6.99. Seriously, that cheap?! Just because this stuff came at the end of a dye lot or the manufacturer had more than the order? Some ball of yarn cost that much or more! Granted sometimes the quality is rarely not a nice, my online research reveals, but yarn ends usually are just as good as the non-mill ends, also according to said research. I knit a scarf for my DH in the gray multi. I think it’s a wool blend, at least that’s what the bag hints at. It’s really pretty and you wouldn’t have known it was bargain yarn. The orange stuff is a thick/think type yarn. Very cool, and I’m excited to see how it knits up. Mill ends are also great for charity knitting or for teaching someone how to knit or crochet. 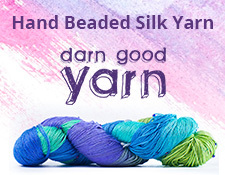 Think about it, you get a lot of yarn for cheap, and you’re not making a huge investment. Next you you pass those bags screaming FASHION PLUS MILL ENDS on them, take a look. There may be some cheap and interesting stuff in there. Next Next post: Yipes! Stripes!